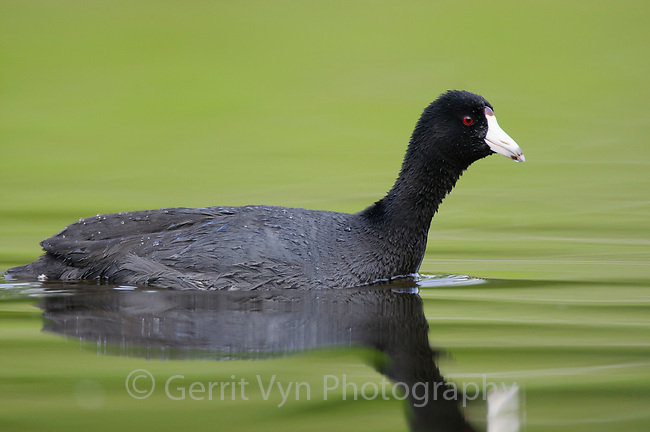 Adult American Coot (Fulica americana) in breeding plumage. King County, Washington. April.